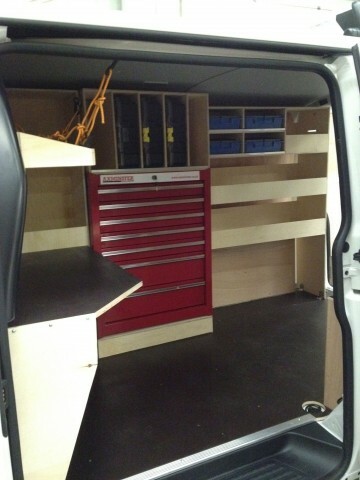 We have often been asked to supply internal racking to suit specific trades, such as a ‘plumbers kit’ or a ‘standard plasterers rack’, and whilst it is something we are more than happy to help with, I don’t think we have ever done two vans the same. Every individual is unique in the way they want to organise their tools, as each trade is different from each other. This means we have to be flexible in what we offer, and be prepared to adapt our products to suit everyone’s different requirements. With over 40 years combined experience, we’re pretty good at it too! Whilst we do have our ‘standard’ range of racking units, which for some will be all they need, we do have to sometimes get creative to maximise the space available. 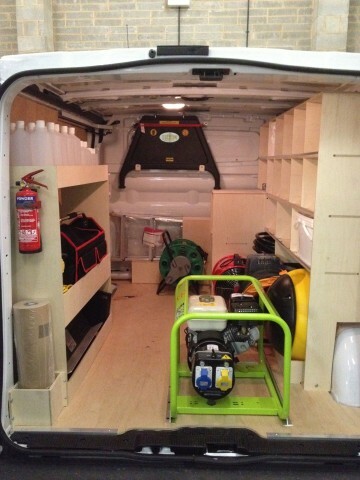 The process we go undergo when designing a bespoke storage system, starts with a conversation, either by phone or ideally with you and the van here, so we can understand what you need and any ideas you already have. We’ll then generate a quotation and agree a price to carry out the work. The key goal for us is to create something which isn’t just a storage system, but something which helps you to organise your use of the van, which in turn can save you money! After all, if you spent just 10 minutes per day looking for stock or tools, this would add up to over 1 week per year!… How much is one week worth to you? Imagine if you didn’t organise your van, how much time would you really spend during a day looking for things, and at what cost? I’ll explore these and more next time to try and help when choosing how best to get organised.